“Either the governor steps in, or we are going to raise hell!” one protester shouted, according to Radio Farda. “On Sunday morning, July 22, several residents of Borazjan held rallies in the city center to protest the shortage of water,” the provincial representative to the Supreme Council of Provinces, and “security forces stepped in to disperse the demonstrators,” the publication noted. The protesters reportedly also stared ablaze at the city’s point of entry. The ongoing water protests are over the Iranian regime’s inability to solve issues resulting from the mismanagement of water resources. On Sunday, the Iranian regime reportedly cut the water off from the civilian population living in Borzajan. The water protests also affected Iran’s oil-rich Khuzestan province and the port city of Khorramshahr, which is home to Iran’s Arab minority Ahwazi population. 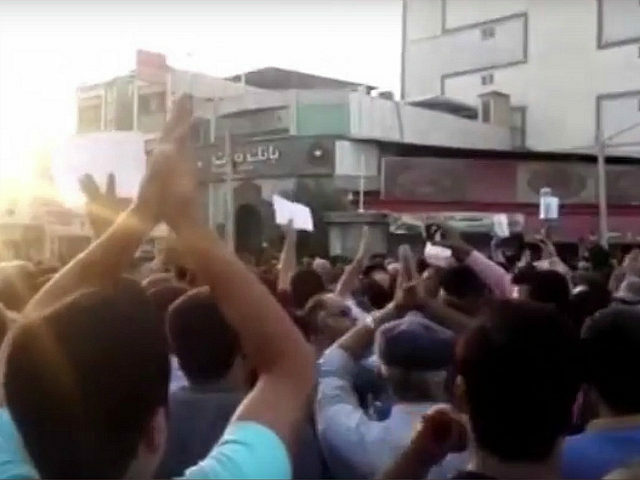 “Hundreds of protest gatherings are serious indications that there is something wrong in Khuzestan,” Iranian MP Ali Sari, from Ahvaz, reportedly told the Iranian Students News Agency (ISNA) last month. Last month, at least 129 people were arrested during protests at Tehran’s Grand Bazaar and outside the country’s Parliament.